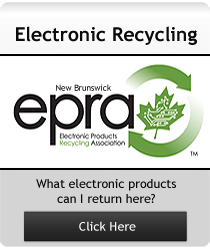 Best Metals Ltd. is located at 320 Wilsey Road in the Fredericton Industrial Park. It is a local family owned business which has been in operation since 1991. Within Best Metals there are 3 related but distinct businesses. 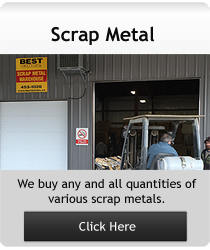 The Scrap Metal Warehouse buys various scrap metals from all customers, big and small. 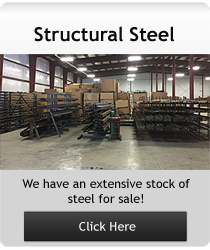 There is a Structural Steel Warehouse which stocks a variety of shapes and sizes of new and used structural steel for sale. 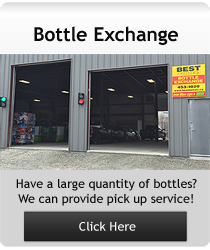 Also there is a Bottle Exchange for returning various beverage containers for refund. We take pride in operating our business based on honesty and integrity and have grown steadily by treating our customers fairly. © Best Metals || Web hosting services provided by: IBS (Internet Business Solutions) Ltd.